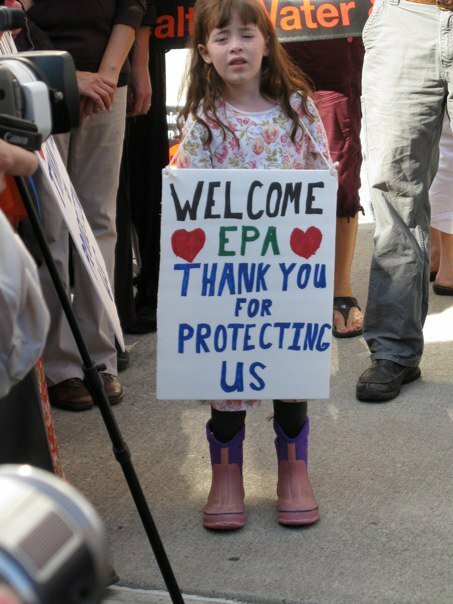 No doubt, most of us have probably seen or at least heard of the demonstration of EPA civility. If you have, it bears another look. If you haven’t, this article is a good synopsis of events. 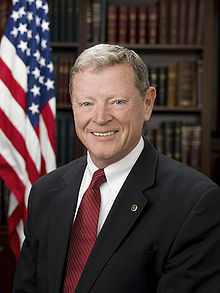 As you read and watch, just imagine if this were the Bush adminstration and Inhofe was maybe, Chuckie Schumer. Imagine the theatre, the spectacle, the wailing and nashing of teeth by every news outlet in the land. We all assume this administrator was speaking metaphorically, but with bunch, who knows. Below is a short demonstration pulled from the movie Gasland. Gasland, you may or may not be aware, is a short film highlighting the evils of hydraulic fracturing or fracking. 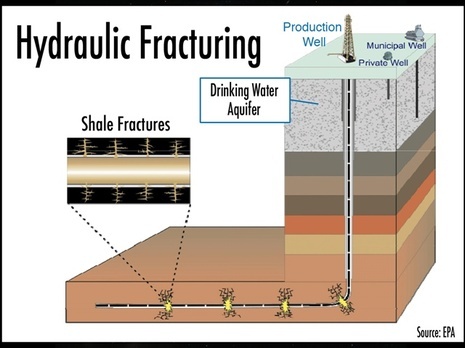 Fracking is a method of drilling to extract oil and gas from the earth. There is a slight problem with above clip. No, there was no movie magic occurring. Mike Markham’s tap water really did ignite. The problem lies, as it always does, with the honesty of the report. It is not suggested nor implied. 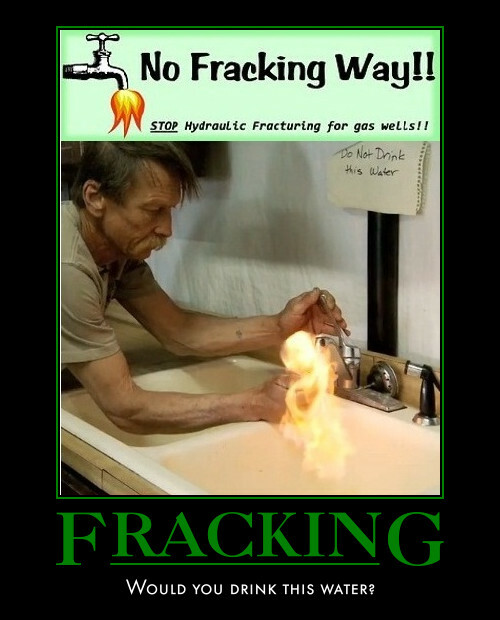 We are told outright, the water ignited due to fracking. The evil drillers did this. So where is the problem? The problem is that it is not true. None of it. In the tradition of movies made by Al Gore & Michael Moore, the lies are rampant & claims they make are baseless. Below are excerpts of a State of Colorado government report refuting the claims of Gasland. It was not sponsored by the Oil & Gas industry. It is a Government report. The documentary Gasland has attracted wide attention. Among other things, it alleges that the hydraulic fracturing of oil and gas wells has contaminated nearby water wells with methane in a number of states including Colorado. Because an informed public debate on hydraulic fracturing depends on accurate information, the Colorado Oil and Gas Conservation Commission (COGCC) would like to correct several errors in the film’s portrayal of the Colorado incidents. Methane is a natural hydrocarbon gas that is flammable and explosive in certain concentrations. It is produced either by bacteria or by geologic processes involving heat and pressure. Biogenic methane is created by the decomposition of organic material through fermentation, as is commonly seen in wetlands, or by the chemical reduction of carbon dioxide. It is found in some shallow, water-bearing geologic formations, into which water wells are sometimes completed. Thermogenic methane is created by the thermal decomposition of buried organic material. It is found in rocks buried deeper within the earth and is produced by drilling an oil and gas well and hydraulically fracturing the rocks that contain the gas. In Colorado, thermogenic methane is generally associated with oil and gas development, while biogenic methane is not. Based upon our review of hundreds of Colorado gas samples over many years, the COGCC is able to differentiate between biogenic and thermogenic methane using both stable isotope analysis of the methane and compositional analysis of the gas. 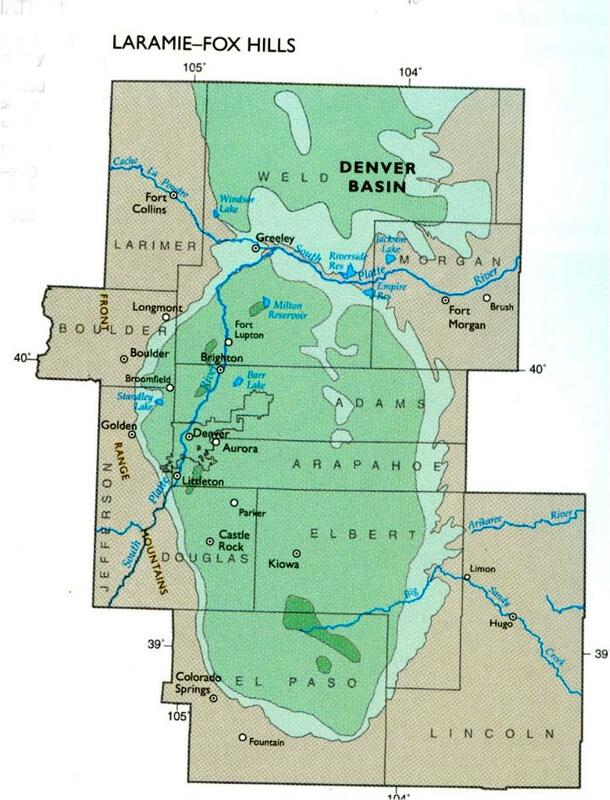 In the Denver-Julesburg and Piceance Basins, the COGCC has consistently found that biogenic gas contains only methane and a very small amount of ethane, while thermogenic gas contains not just methane and ethane but also heavier hydrocarbons such as propane, butane, pentane, and hexanes. Gasland incorrectly attributes several cases of water well contamination in Colorado to oil and gas development when our investigations determined that the wells in question contained biogenic methane that is not attributable to such development. We (COGCC) concluded that Mike Markham’s and Renee McClure’s wells contained biogenic gas that was not related to oil and gas activity. Unfortunately, Gasland does not mention our McClure finding and dismisses our Markham finding out of hand. Laboratory analysis confirmed that the Markham and McClure wells contained biogenic methane typical of gas that is naturally found in the coals of the Laramie–Fox Hills Aquifer, from where both households draw their water. Water samples from the wells were analyzed for benzene, toluene, ethylbenzene, and xylenes (BTEX), which are constituents of the hydrocarbons produced by oil and gas wells in the area and all associated with thermogenic gas. The absence of any BTEX compounds in these water samples provided additional evidence that oil and gas activity did not contaminate the Markham and McClure wells. There is a new film being released called “Fracknation”, that extol the benefits & give the viewer the real story of fracking, not the lies and over-hyped fear mongering of “Gasland”.